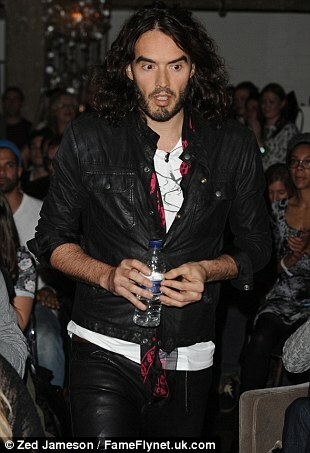 Russell Brand has been refused admission to South Africa, twice by authorities. The comedian was heading to Johannesburg with his Messiah Complex tour on Friday, but at the airport he was denied access to the flight by authorities. According to his publicist, Debra de Souza, Brand was denied access to the plane because ‘he did not have two free pages in his passport’, which is the minimum needed to enter the country. The actor and comedian was forced to cancel his gig in the South African capital on Friday night, as his team got busy, trying to find a way to get him there before he had to cancel his next show on Saturday 16th November. But an hour and half later he was stopped at the boarding gate from getting on the flight: ‘Banned from South Africa. Here ready to go. Refused entry. Hope I can come soon #MessiahComplex’. All four of the shows are sold out, so it will no doubt be disappointing for Russell and his fans if he can’t make it in. Now organisers are trying to reschedule the gig for next week to give Brand time to sort out his travel issues, and so ticket holder’s don’t lose out. The comedian has returned to the touring circuit after taking a break to get married and divorced, as well as appear in a few Hollywood films. Brand hopes to take Messiah Complex to Denmark, Norway, Sweden and Turkey as well as a number of other countries around the world, but recently he has hit the headlines for his controversial declaration that young people shouldn’t vote, during an interview with Jeremy Paxman on Newsnight. Mail Online have contacted Brand’s representatives for comment.